Cancer has proven to be a crafty foe, but scientists are beginning to find ways to outwit this deadly adversary. For roughly 100 years, surgery and chemotherapy have been the primary ways that modern medicine has tried to eradicate malignant tumors. Undoubtedly, these techniques have saved lives and will continue to do so for the foreseeable future. In addition, both surgery and chemotherapy are continually being refined so that they are less invasive. Will chemotherapy become a thing of the past? Nevertheless, the conventional approaches (though often life-saving) can be so debilitating to patients that they can be compared both carpet bombing and the use of explosives to open a locked door. Increasingly, however, researchers and oncologists are trying to find the keys that will help them penetrate the genetic gateways that tumors utilize to fuel their growth. In all probability, discovering those entry points and molecular mechanisms, and targeting them with enzymatic inhibitors, will represent the next generation in anti-cancer therapy. Chemotherapy drugs, as any cancer patient can tell you, are designed to be slightly more lethal to the tumor(s) than they are to the patient. But oncologists are discovering that cancer cells and tumors (though highly adaptable) have their weak points too. Increasingly, cancer treatment involves targeting these “soft spots” with compounds that alter gene expressions. For example, scientists have discovered that defective B-cells (the immature white blood cells that are responsible for leukemias) depend vitally on an enzyme called BTK. Inhibit that particular enzyme and leukemia can be put in remission because B-cells undergo apoptosis (or cell death) when BTK is not present. Conventional pharmaceuticals are not the only compounds that can alter gene expression and induce apoptosis in tumorous cells. 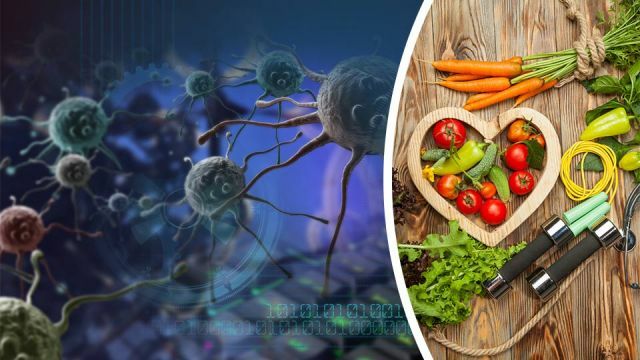 In fact, a wide range of plant-based compounds (including herbs, spices, fruits, vegetables and essential oils) contain cancer-busting properties that can inhibit tumors (and in some cases reverse or shrink cancerous growths). This is not to say that patients should rely on these methods to the exclusion of conventional therapies. However, recognizing alternative approaches (particularly that have helped people beat cancer without chemo) can help patients make more informed health decisions in consultation with their physicians. With that in mind, here are three remarkable stories of individuals who fought cancer without chemotherapy and who won their battle using all-natural remedies. In 2011, Gloria Mattioni found herself feeling listless and energy-depleted all the time. She was also experiencing constant headaches, which eventually prompted her to seek medical attention. After a battery of tests, she was diagnosed with breast cancer. But her innate mistrust of the medical system (coupled with the impersonal care she received) encouraged her to research her disease on the Internet, which led her to a book on alternative medicine entitled “Outsmart Your Cancer” by Tanya Harter Pierce. Gloria became a voracious reader when it came to health topics. Ultimately, she came to the conclusion that she needed to detox and change her diet. She cut out sugar because she learned that cancer cells feed on it. And she also decided to eliminate foods that could raise her estrogen levels (such as dairy, coffee, gluten and red meat). To inhibit tumors, she took all-natural plant-based supplements such as chrysine, bioperine and cannabis oil, which are derived from honey, black pepper and marijuana respectively. All three have tumor-inhibiting properties, but it is only in recent years that the medical community has begun to acknowledge that cannabis oil can induce apoptosis in cancerous cells. You can read more about Gloria’s inspiring story here. In 2003, Chris Wark was just 26 when he was diagnosed with stage-3 colon cancer. He had surgery, which removed about a third of his intestines. But after the operation, his doctors gave him the bad news that his cancer was more extensive than they initially realized (it had spread to his lymph nodes) and that he would need chemotherapy in a matter of weeks. By chance, Chris received a book in the mail which discussed the role that nutrition plays in promoting health and counteracting disease. The idea of including more raw fruits, veggies, and whole grains in his diet made sense to him. And so did the idea of avoiding processed foods. In 1974, Rick Hill was diagnosed with stage-3 embryonal cell carcinoma, which required more than ten hours of surgery at the Mayo Clinic. Chemotherapy was virtually mandatory for someone in Rick’s position, but back then the conventional treatment was a virtual death sentence. Rick was so desperate for a cure that (in his own words) he was ready to “mow the lawn with his teeth.” As a result, he ventured to an alternative health clinic, which emphasized diet and nutrition. He began eating organic food, exercising and eliminating gluten from his diet. Can we change the way we cure cancer? Some of the targeted therapies doctors are talking about may involve compounds derived from cannabis and other plant-based foods. It would be facile to say that every patient can overcome cancer through diet, herbal supplements and lifestyle changes alone. But it is clear that conventional medicine has consistently overlooked how alternative approaches can help many patients beat the odds.